The first thing you might notice about The Swapper is that it’s stunningly beautiful. The opening sequence where your character gets launched from a space station towards planet Thesseus is breathtaking. It was evocative of Kubrick’s 2001: Space Odyssey, and feels almost as alien and cosmic as Interstellar. The Swapper is one of my favourite games in recent memory, and I will talk about it below, spoiler-free. The game is a puzzle-platformer where your main ability is to create clones of yourself at any point within your line of sight. The clones mimic your motion exactly: If you jump, the clones jump. When you move forward by x steps, the clones do the same. You traverse obstacles by swapping bodies with your clones. This is important, since you can only collect items and activate consoles with your main body. So even if your clone is right in front of a console, you can’t activate it unless you swap into that body and do it yourself. You will end up abandoning your clones as it gets stuck behind something while you leave the area. Sometimes your clone fall to its death. There are no enemies to kill here, but you end up murdering many of your own clones. The main challenges of the game involve figuring out how to cross obstacles and activate the right switches to collect Orbs, which then allows you to progress the story. In terms of pacing, I think the game has a better pacing than, say, Braid. The spaces between puzzles are filled with fantastically designed areas where you can just explore and drink in the aesthetics, giving us a leisurely break before moving on to the next puzzle. I was glad that I didn’t feel like I was being shuffled through level after level of puzzle-solving busywork. The inter-puzzle areas, together with minimalistic music scores are probably crucial in shaping the ambiance and creepy atmosphere permeating the entire game. The level designs are made from hand-crafted clay. It looks really good and has plenty of visual variety. At some point you find yourself in a lounge area lit with yellow lights with couches and some pleasant background music. At other areas you visit some abandoned area overgrown with alien plant life. There’s even an asteroid outside the space station where you can reach by doing a brief spacewalk! The difficulty curve of the puzzles rises slowly and comfortably. But then I’m not the kind of gamer that complains when a puzzle is “too easy”, so your experience might be different. Sometimes I encounter some huge difficulty spikes — I suspect it’s either because I was approaching it completely wrong, or that I visited some areas in the wrong order. In any case there are three or four times which I consulted walkthroughs to progress. There are no spoilers in this article, so I’ll only say this much: You learn about the events of the story and the secret behind planet Thesseus in the areas you explore between puzzles, mostly by picking up logs (Bioshock style, but text-based) or encounter some strange rock-like objects which communicate to you telepathically (game-wise, the screen becomes blurry and out of focus while some text is presented to you when you step close to the object). From the start of the game another character communicates to you via radio. I’d recommend playing this late at night in a dark room. The game really has a gripping, slightly-creepy atmosphere to it. I shall briefly mention that the playable character is female. Not that it makes a difference in the game or story, since you never see any faces in The Swapper; all characters wear bulky spacesuits with their faces concealed under their helmets. You only figure out the genders by the voices of the actors and the pronoun (he/she) in dialogues. But we currently live in a video-gaming world where the default character is almost always male, and that female characters are always sexualized/objectified, so I guess it’s worth bringing up that the Swapper offers that much-needed variety. In fact women probably outnumber men in the story. It’s equality from a narrative standpoint: for the purposes of the story, gender is treated (equally) indifferently since it should not matter in a story about humans exploring a strange planet. All that matters is that your playable character can walk, jump and has a Swapper device to create clones. One of the obvious comparison you could make is Christopher Nolan’s movie The Prestidge. What happens in the movie is quite similar to certain aspects The Swapper. As for books, Transcendant by Stephen Baxter explores the evolution of humans into the far future. By far I meant REALLY far. Far enough that the evolution of humans branches off into different species. One particular branch has evolved the ability to combined their minds into a collective consciousness. While Transcendant is part of a larger series (Destiny’s Children), but it’s fairly stand-alone. Isaac Asimov’s Foundation series one of the main great pillars of science fiction literature. While the ideas of self and consciousness was not the main theme of the series, it was touched upon on the later books. Particularly in Foundation’s Edge and Foundation and the Earth, the characters encounter a planet where its life consists entirely of a single collective consciousness. I suppose now would be a good time to pick this up, if you’re a fan of sci-fi and haven’t already. Especially since the is a HBO show based on it coming soon. There’s an interesting question to decide whether to read them in publication order or chronological order. I have read them in publication order, starting with the main trilogy. Or, if you don’t want to invest the time, you can simply check out this handy primer by io9. The central idea in Joss Whedon’s show Dollhouse is a technology where you can implant different consciousness into a human body. Eliza Dushku plays a `doll’ named Echo, who gets implanted with a different personality with different memories. The show gets really interesting when it explores what happens if the implanting processes goes wrong, and how the multitude of personalities remains and merges together in a single doll. 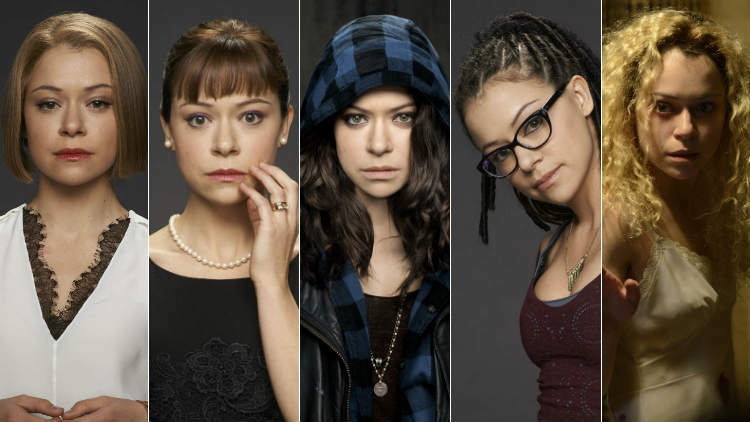 Another TV show involving clones: Orphan Black. It’s about clones who were raised in different cultures and environments. So you really get to see Tatiana Maslany’s acting talent as she plays each different clone with different personalities, accents, body posture, and I swear, she even has distinct voices for the clones. I thoroughly enjoyed The Swapper. It looks good, the puzzles are fun to solve, and the voice acting is great. I enjoyed the minimalistic music too. Best of all, the story ties in with the game mechanics really well, making you think about the philosophy a little bit more. It took me 4 hours to complete the game, and I would likely play it again to experience the story one more time.